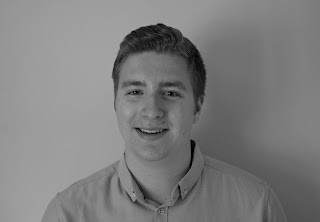 Jack Leslie is a 24-year-old media professional, mainly specialising in motorsport journalism and digital content creation. He also has experience in the gaming and automotive sectors. It sounds a bit silly to say I've always loved to write, but to be honest, I have. I wasn't particularly good at it in school, though, and put a lot of effort into changing that. Eventually, it started to pay off. But, I didn't think writing could become a potential career path. Initially, I wanted to be an architect, before realising I couldn't draw. I liked cars so for a brief while thought it might be fun to sell them for a living. I lost interest in that fairly quickly. So, it took me until my mid-teens to realise something journalism or media-related might be a good fit for me, with motorsport being my preferred field of work. My dad and grandad are both big motor racing fans, so naturally I developed an interest in the subject at a young age. After finishing my GCSEs, I had a bit of spare time on my hands and started to think about what I wanted to do with my life. Because I loved writing, media and F1, I thought it might be fun to combine my passions. Maybe this was the first step on the road to a career in media? So, I started a blog. It proved to be surprisingly popular and had a big impact on the progression of my career, as I started picking up free writing work and built up a portfolio. This all eventually led to paid freelancing, covering motorsport, gaming, cars and more. Recently, I have worked as a freelance journalist for Motorsport Week, Motorsport Monday, WTF1, Car Throttle and Autosport - where I am a member of its Autosport Academy. In 2017, I graduated from the University of Westminster with a BA (Hons) degree in Journalism (1st), before moving onto an internship within the world of F1. I was promoted to a full-time role at the end of 2018. I have completed work for Live Wire Sport (digital) and been featured on websites such as Richland F1, F1 Fanatic, Wareable, About.com, eBay and SPEED.com, as well as in local newspapers and magazines (including Motorsport Monday, Paddock and Autosport). I have attended numerous events as accredited media, including four F1 races, one Formula E race and media days for the likes of Sky Sports, Red Bull Racing and Aston Martin. 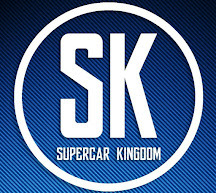 Between 2013 and 2016 I completed internships and work experience placements at Car Throttle, Autosport, Richard James, Wareable and carwow. Alongside F1, I also have experience in sports, gaming, entertainment, technology, automotive and general news writing, as well as social media and digital content creation. My interest in motorsport is incredibly broad, from IndyCar to BTCC and Formula E.
I am a friendly, hard-working, organised and ambitious person. 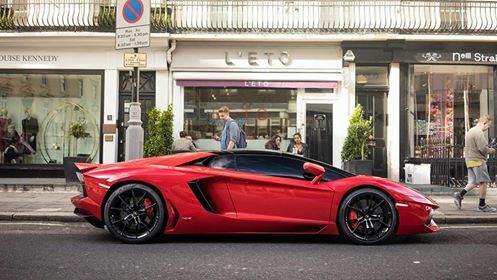 In my spare time, I can probably be found hunting down cool supercars, exploring new places, eating unhealthy food and watching my favourite American TV comedies - The Office US, Parks and Recreaction and The Good Place. To see more about my work, check out the portfolio page. If you need to get in contact with me, please visit this page. © Jack Leslie. Powered by Blogger.